Patient allied health services are provided by our highly competent team of professionals.These services include physiotherapy, speech-therapy, dietetics, occupational therapy, exercise physiology, psychology, pharmacy, health education and rehabilitation.Pharmacy is arranged by the medical team and delivered to Spendelove Private Hospital daily or as required.Spendelove Private Hospital allied health service employs a range of professionals who work as a team to provide our patients with the best possible care. Physiotherapists at Spendelove Private Hospital work with patients to maximise their physical potential and restore improvement and function, providing treatment integral to recovery from surgery, illness and injury. 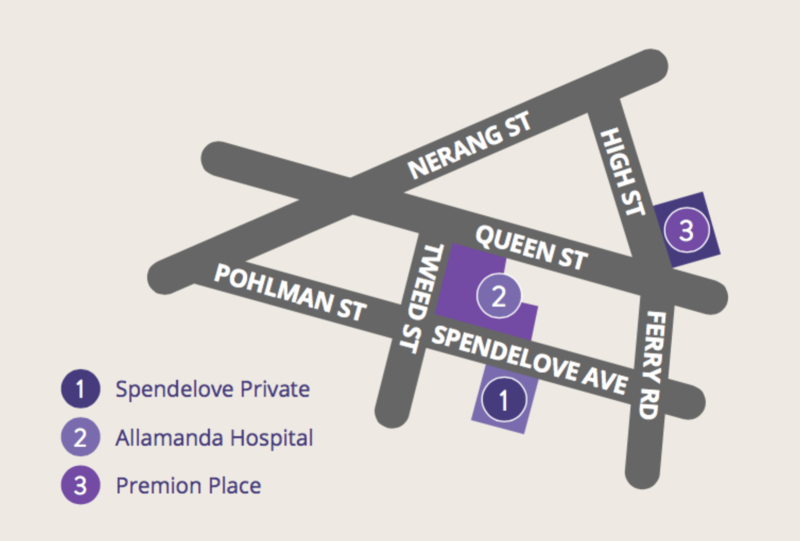 Spendelove Private Hospital Physiotherapy provides a wide range of inpatient and outpatient services in many clinical areas and can be accessed with or without a Doctor’s referral. Occupational Therapists at Spendelove Private Hospital work with a variety of inpatient and outpatient groups. The aim of Occupational Therapy is to maximise patient’s function and independence in their daily activities. Our Occupational Therapy Service is frequently involved in the care of patients, referred by specialist doctors, in the surgery, orthopaedics, oncology and medical units. Counselling Services are also offered to provide care going beyond the physical, and provide wellness conditioning. We acknowledge that the impact of hospitalisation, diagnosis or treatment may challenge a person’s emotional well-being, thoughts and ideas, beliefs, values and sense of self.At such times patients or families may require the support of one of our counsellors. We embrace a duty of care that holds deep regard for the rights of patients and their relatives to be treated with respect, dignity and integrity and are deserving of care that is genuine, competent, non-judgmental and confidential. Accredited practicing dieticians are available to provide expert nutrition care for patients. Dietitians screen and assess nutritional status and provide counselling to patients and carers to ensure appropriate medical nutrition therapy during admission and upon discharge. Working in conjunction with medical specialists and other healthcare workers to achieve optimal health through good nutrition, our dietitians play an important role in the multi-disciplinary approach to healthcare.